As we recognize our SC Client Services Managers who have so much in common, we can’t help but think: is this some Halloween prank? 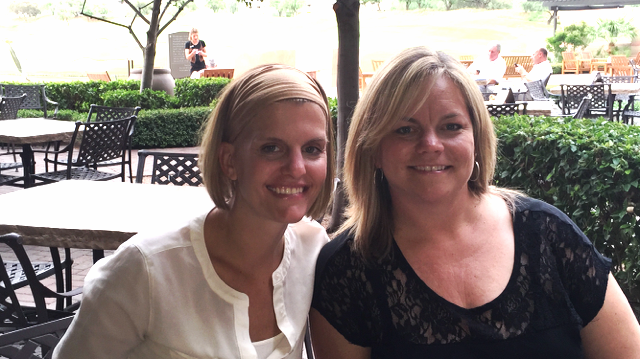 AJ Steele and Lori Hazelton have been ServiceChannel colleagues for five and half years each. Both started on the same day, different coasts of the U.S. and have since grown to become great working partners and close friends. Before becoming Client Services Managers, both were AE’s for four and half years and in that time gained knowledge of all ServiceChannel products. Lori and AJ are leaders in their department as they guide the AE group to keep all clients up to date with industry best practices as well as all new ServiceChannel product development. Thanks to their vast experience in customer products, both are able to quickly come up with ideal solutions for customer projects or issues that may arise. As at last we can find some differences between these two. Lori has been married for over 22 years and has a busy life with two active teenagers who play soccer 2 to 3 times a week. She also enjoys her second home in Lake Tahoe. Prior to joining ServceChannel, AJ worked on the client side, where she worked with ServiceChannel for two years. AJ keeps busy with weekend getaways to visit friends and family. Oh, and Lori wants M&M’s in her Halloween basket, while AJ is a nut for Reeses Peanut Butter Cups. ServiceChannel hosted the United Kingdom version of its User Group meeting series, called NextGen 2015, as part of its corporate sponsorship and activities at PRSM International Retail Exchange in London. The meeting included technical training & demonstrations and a special guest speaker presentation on The Relevance of ServiceChannel’s FM Solution specifically within the retail environment. In attendance were Apple, Gap, Sodexo, DFC Global, Speedy Inc, Luxottica and our local contractors. Read more for additional information about the NextGen User Group. Interactive courses led by expert instructors on ServceChannel products. These courses are perfect for when you need a refresher, when you have a new employee onboarding, or when you want to learn best practices to get the most out of our products. Each course lists the skill level necessary (from Beginner to Advanced) and the target audience, so you can mix and match courses based on your needs. We will have a new home page which will make it even more evident when an issue requires your attention. 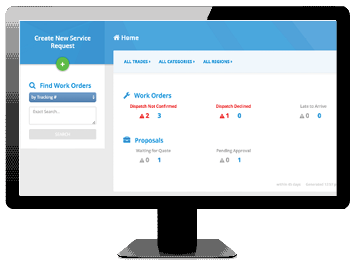 This new home page will show you a number of WOs and Proposals requiring intervention, as well as the ability to drill down and take immediate action in reducing the time to completion. This page will replace the current Track WO/PO page. You will be able to have specific WOs (by trade) automatically re-assigned to the next ranked provider when a WO is rejected. Did you know that we have a GPS Check in/out app available for iOS and Android? The app is used by your contractors in lieu of the legacy IVR phone system to check in/out of service requests and track time spent onsite. To enable this function for your contractors, please contact your ServiceChannel account representative.